Scoping out your ideal customers ahead of time and personalizing your outreach is at the core of an account-based marketing approach. Image via Shutterstock. Just put the finishing touches on a new cold email campaign? 2009 called and wants its tactic back. People are getting more emails than ever before. Even despite the increase in deliverability problems plaguing campaigns. These cold email attempts are as generic, indistinguishable and therefore ignored as all of your competitors’ similarly cold, half-assed efforts. 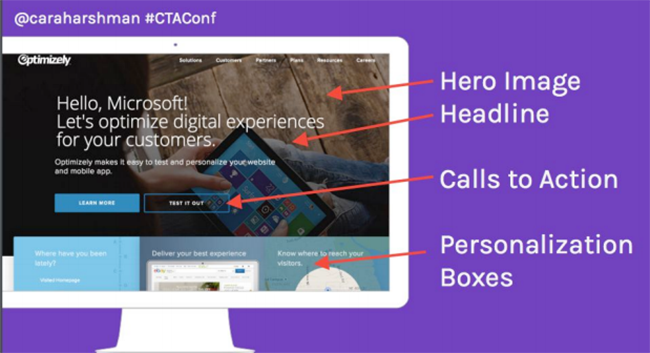 It’s no wonder why CTRs and conversions look so… average. Meanwhile, “unicorns” – the ones pulling in double-digit conversions — are playing a different game. They’re not A/B testing minutia, but are busy doing bigger, bolder things to get outsized returns. Account-based marketing (ABM) identifies ideal prospects ahead of time. So instead of your typical email blast to a massive list of (possibly) qualified companies, you’re flipping the script. You’re doing all the qualification up-front, in hopes that working from a smaller list will allow you to do more personalized and time-intensive work to get a shot at each company’s business. When done correctly, it can deliver plateau-breaking results, too. The team at Funnelholic, for example, increased their reply rates from 2-3% to 31%, and booked 15 new meetings after adopting an account-based marketing approach. 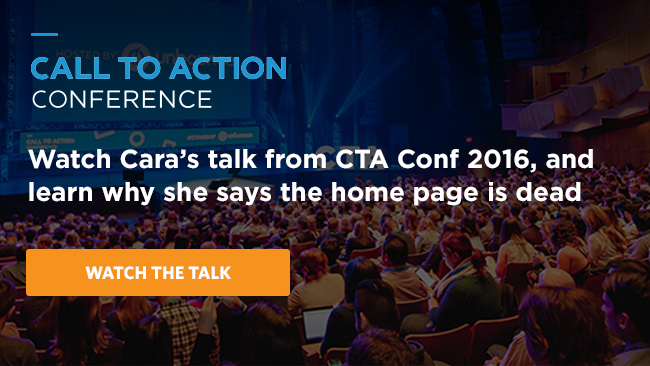 And at this year’s Call to Action Conference, Cara Harshman (formerly Content Marketing Manager at Optimizely) shared their early results with a similar approach, adapting Optimizely’s homepage dynamically based on one of 26 pre-determined audiences who might be visiting at any given time. While results were still early, they had seen already seen a 117%+ increase in users who start the account-create process. This Optimizely example is a perfect illustration of how account-based marketing can (and should) differentiate from classically outbound methods. It’s outbound, in an inbound way; where you’re driving previously identified targets back and tracking results to nurture over time. Word of mouth is great. But you can’t do much to scale it. Inbound is awesome. But incredibly time consuming. That leaves outbound methods, which — when done correctly — can deliver one of the most scalable ways to grow a B2B or complex sales organization. Like, for instance, Salesforce. Predictable Revenue outlines the outbound approach Aaron Ross used to add over $100 million in recurring revenue to Salesforce years ago, when they were still a small(ish) private company looking for a repeatable way to scale. And they executed this impressively effective outbound strategy without a single cold call through account-based marketing. Aaron and his team created lists of potential prospects based on specific criteria (like demographics, company size, industry, etc.). They then reached out to prospects using plain-text referral email templates, free of fancy branding, images or other graphics. The objective was for their emails to appear friendly and personal in order to get a foot in the door, and eventually get in touch with the appropriate person at each company. Nick Persico offers a great template for effective cold emails. Then they split up the sales team to run these campaigns like an assembly line, with some people prospecting, others screening and some people focused on closing. With such smashing results ($100 million in recurring revenue, remember? ), it’s a wonder more companies aren’t using this approach. Fortunately, it’s never too late to start; here’s how to get started with an account-based marketing approach. The way you go after prospects can influence who you get. And each approach has its own PROS and CONS. Referrals rely on sowing seeds, with long-term one-on-one nurturing to produce future results. They’re the best – right?! But they’re tough to scale or influence organically, with most of the work being done by past contacts at their leisure. Inbound marketing casts a wide net, where you’re going after a huge group in hopes of catching a few good ones. Not only are conversion rates lower, but oftentimes you also naturally attract a lot of under-qualified people (who likely would never afford your services). Outbound marketing prioritizes a few, high-value companies over the rest. In contrast, they use spears to target specific people within companies. Account-based marketing takes the spear fishing to a whole other level, by combining sales tactics and marketing for an “always on” multi-touch campaign both on and offline. This type of approach is ideal for the big fish — the tuna, the sharks, the sturgeon. And the first step in catching the big fish, is you gotta start building lists. Which takes research and LOTS of online creeping. Purchased lists might be tempting, but to be honest, most are worthless. Anecdotally, we recently had a client force their purchased lists on us, and we found that at least 50% were bouncing and not even being delivered. Besides, the whole point of account-based marketing is to focus specifically on WHO first, and then work backwards to the channel or tactic. Qualifying ahead of time can ultimately give you much better results (with less wasted effort and chasing to boot). 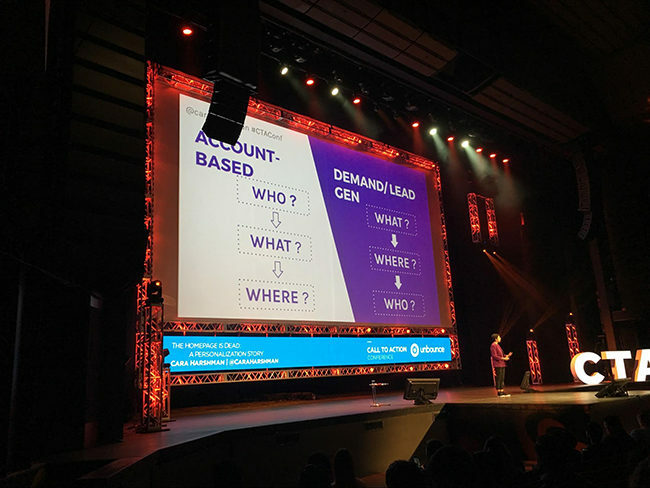 The whole point of account-based marketing is to focus specifically on WHO first, and then work backwards to the channel or tactic. 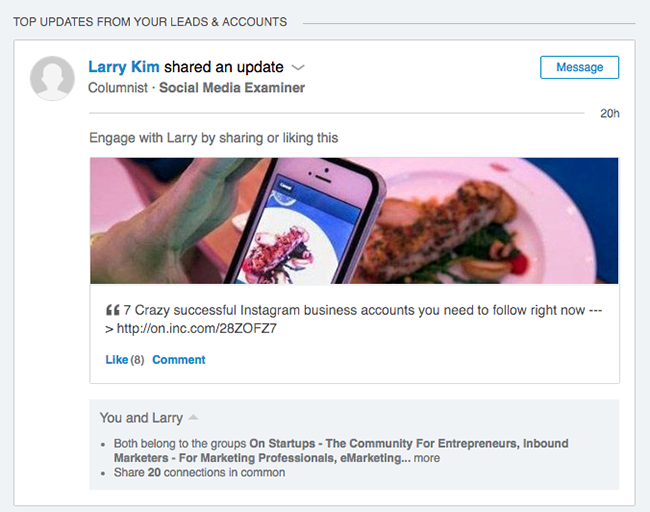 LinkedIn’s sales toolset gives you the ability to create prospecting lists like this. They’ll even dynamically update as new people join or amend their profiles. 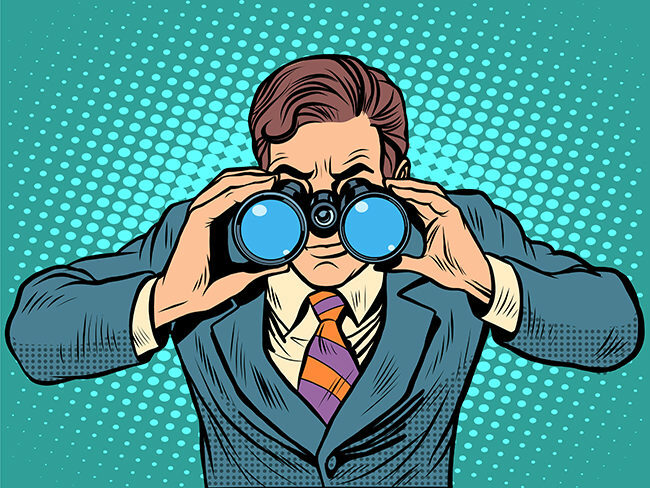 Once you’ve generated a prospecting list, it’s time to start creeping. The LinkedIn sales tool lets you follow specific prospects or people and stay up-to-date on what they’re up to. LinkedIn also helps you identify prospects by another key consideration: purchasing occasion. These are the pivotal moments, like position changes or new location openings, where someone might need your services. For example, a past client getting a new position. The fastest way I’ve learned to qualify someone is to try and disqualify them first. In other words, look for red flags that jump out at you. An easy one: If there’s no agency or freelancer link on the bottom of a website (assuming this isn’t a massive enterprise), they’re not gonna buy your marketing services. People view marketing as a cost or an investment. 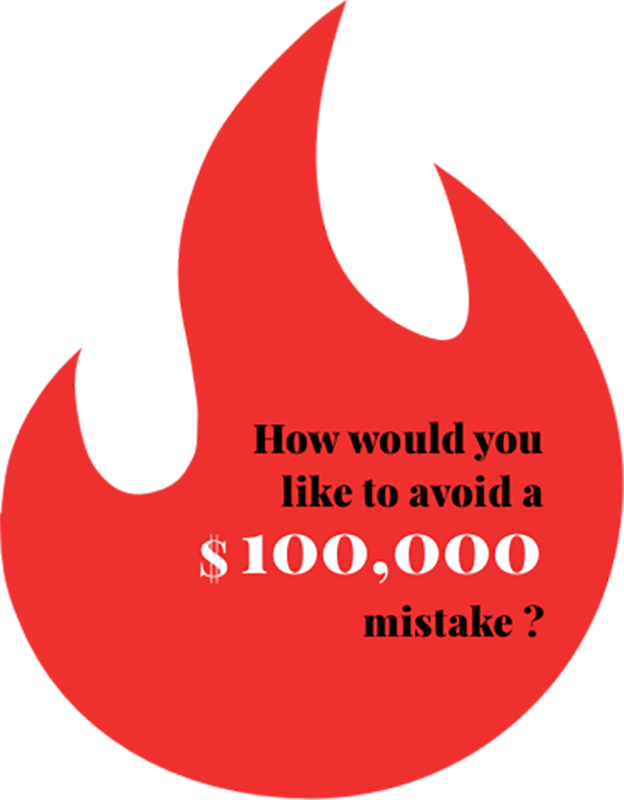 If someone doesn’t spend money on a professional website, there’s no way in hell they’re gonna give you a decent ad budget or creative allocation for new landing page conversion work either. BuiltWith is another way to figure this out, since it will show you what a person’s website is running on. Plus, it will reveal what software might be installed, which is another great indicator. Good omens include advertising or analytics scripts, as well as expensive or specialized software like CrazyEgg, Unbounce, HubSpot and more. 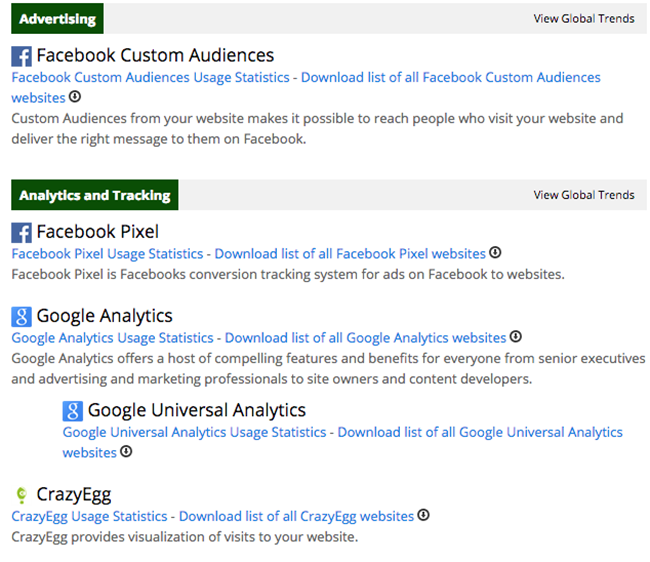 One recent prospect’s example showed good signs: Facebook advertising and CrazyEgg scripts. Regardless of your personal feelings or bias towards a particular marketing automation platform, the fact that they’re already committing thousands of bucks a month to specialized software means (1) they’re used to spending money related to your services and (2) they’re sophisticated enough to have a cogent conversation around Cost Per Leads. Internally, we’ve been keeping initial batches to around 30-40 people. ‘Cuz it’s about to get intense. Cold emails and LinkedIn InMails are easy. Which is why everyone does them. And ignores them. 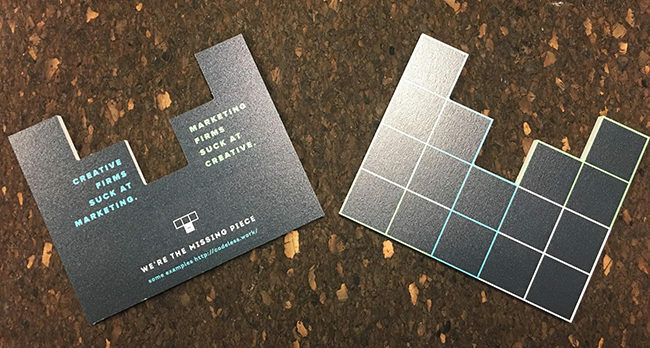 When experimenting with our own account-based marketing techniques, we liked the juxtaposition of a digital company using a seemingly old-school tactic (like direct mail). We wanted to break through the noise by doing something that stuck out; like a handwritten note with a semi-bulky package sent through the good ol’ U.S. Postal Service. Then only after the initial (physical, offline) ice breaker would we follow up via digital channels. Unbelievably, there are some stats to back this up. According to a USPS study (not biased at all) 60% of direct mail recipients also visited the promoted website, with first-time shoppers being the most influenced. Another example shows how one agency got a 25% response rate when using direct mail to reach companies doing $30 million+ annually. We worked with a local printing shop to come up with material and shape recommendations, printing out an initial batch that was eventually sent out with a handwritten note in a bubble-wrapped CD package (remember those?). The goal of these pieces isn’t to sell anything, but simply to get the recipient’s attention, to get on their radar and pique their interest. Eventually, we want them to go to a specific landing page, which will provide the context and persuasion. Our examples are relatively primitive compared with one company who sent out empty iPad boxes to executives prior to a conference, telling them to swing by the company’s booth to pick it up. But it’s not to say they’re not effective… and best of all, low(er) budget. Besides the custom route, there are also now solutions like Lob that you can hook into through APIs. The result, is that instead of manually going through this routine, you can scale direct mail. Their tool will fire off new pieces automatically without lifting a finger (or writing 40+ handwritten notes). But enough of the outbound stuff. Let’s talk inbound. There are two primary ways to track offline conversions from direct mail (without coupon-like codes): referring URLs and custom phone numbers. 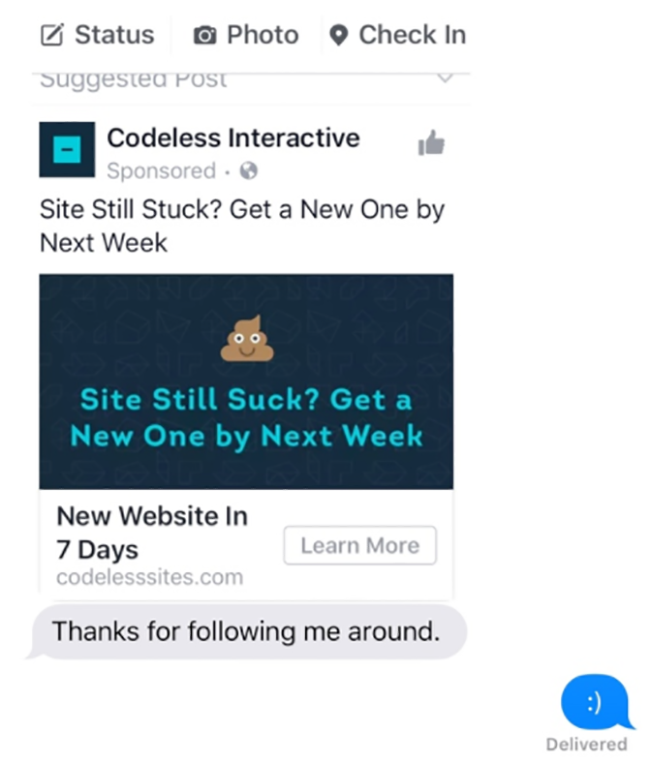 We like to use a branded or memorable URL. For example, YourCompanyCampaign.com. If you’re good with UTM codes, you can simply 301 redirect this link to whatever your landing page URL will be and get the tracking data you need. Pro tip: Your landing page copy and design should always match your direct outreach piece (a.k.a. message match). Fortunately, using Unbounce’s drag and drop builder, you can whip up a matching landing page and A/B test your messaging in no time. Plus, you don’t have to worry about finding a designer and developer on short notice. If you’re less savvy with UTM codes, a simpler step might be to use Bitly as an intermediary. Create different referring domains based on zip codes, customer segment and more to know exactly which subset of your list is performing best. If you’re targeting people from a specific database like with HubSpot (which already tracks email and IP address), you can track those website visits and catalyst moments exactly. Next, you can set-up custom phone numbers for this campaign. 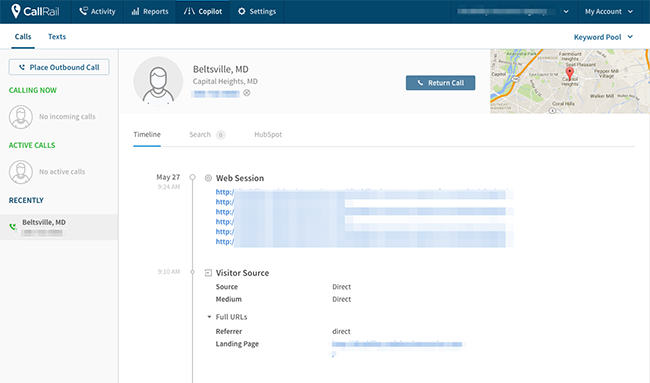 We use CallRail, which integrates nicely with other popular tools like Kissmetrics or HubSpot, providing insight into the caller’s web session data as well. Keep in mind that an initial offline conversion is just the first step in a much longer process. New sales leads typically need between six and eight touches to generate the lead. A week or two after sending this direct mail piece, you should be following up via email, LinkedIn and other channels, because more than half of customer interactions are multi-event, multi-device journeys. 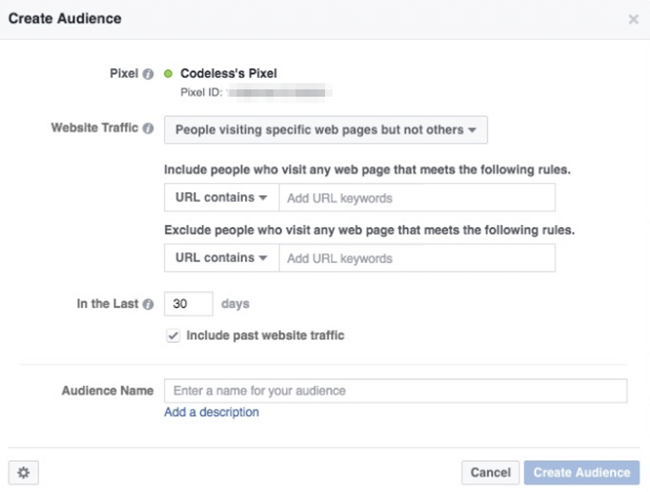 You can even run retargeting or remarketing campaigns against these same people by creating a custom audience in Facebook for people who hit one page, and not another. For example, if people look at your Pricing page but don’t hit the Sign Up Confirmation one (so you know they thought about it, but didn’t pull the trigger for one reason or another). Now you can follow up again and again and again, without actually — manually — following up. The creative messaging for these retargeting campaigns can obviously be personalized too, because with a little help from inbound funnel segmentation, you should be able to differentiate one audience from another (based on which landing page they hit). A college friend sent me this text message at 11pm on a Saturday night. We’re barely scratching the surface of account-based marketing. I can barely figure out how many stamps a simple letter takes, let alone how to send a custom package with handwritten note and more. Yet the results speak for themselves. After a day’s worth of work and a couple hundred bucks on material during our first attempt, we’ve already landed and completed a small project for a few thousand that’s led to more within the same company (in addition to a few other sales opportunities still in the works). That doesn’t even include all the nice, personal responses we received. Yes, people are actually thanking us for sending them cold, ‘unwelcome’ messages. Account-based marketing isn’t perfect, and requires a lot of trial and error like anything. But it can also provide a compelling way to break through the noise; differentiating your company from the other thousands that are sending the same, crappy stock email templates that sometimes never work. Brad Smith is the founder of Codeless, a long-form content creation agency. His content has been highlighted by The New York Times, Business Insider, The Next Web, and hundreds more.